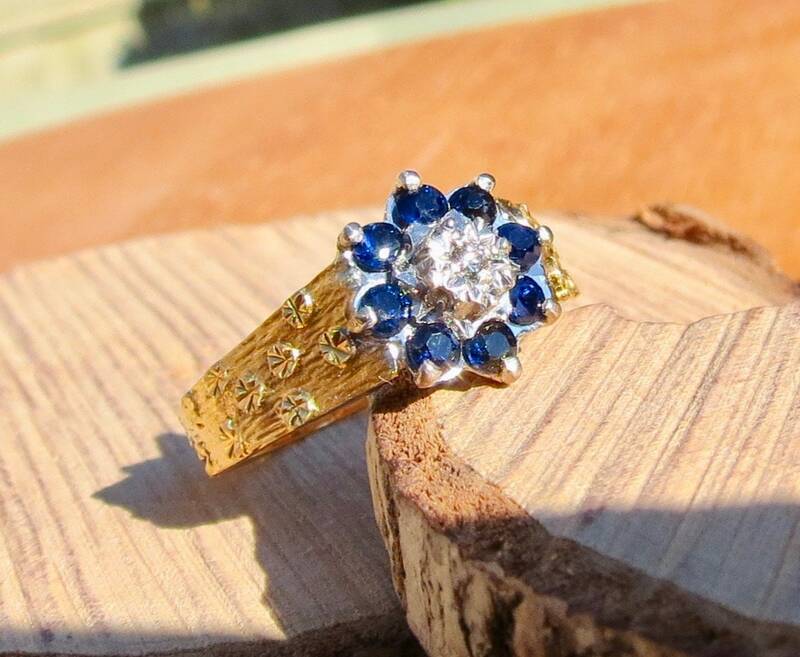 This 18k yellow gold ring has eight round cut blue sapphires and a central brilliant cut diamond in an illusion setting. 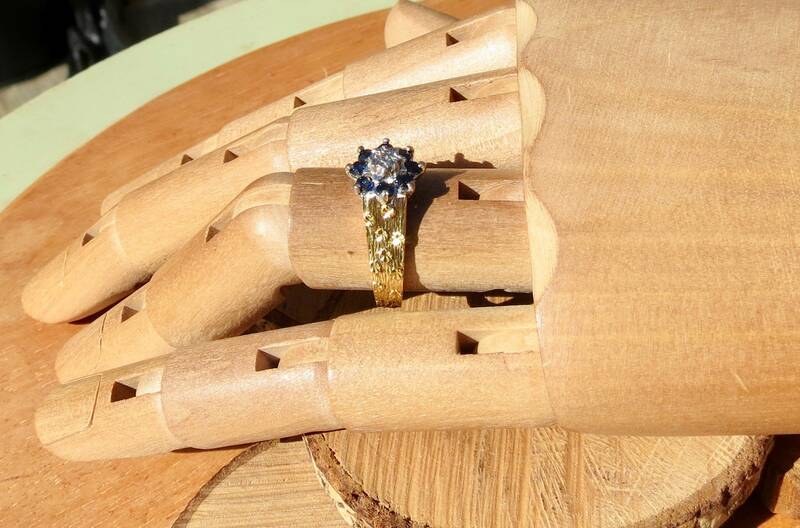 The mount is a daisy arrangement setting with a bark effect shank decorated with forget-me-not flowers. 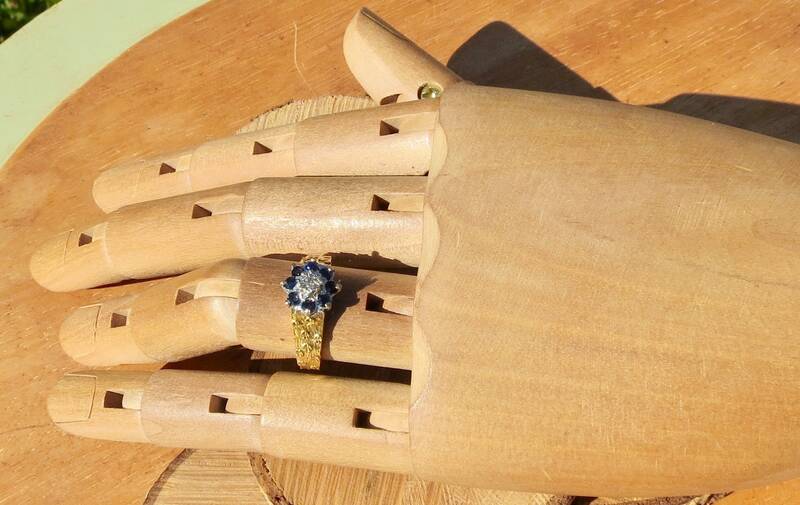 Full English hallmarks. 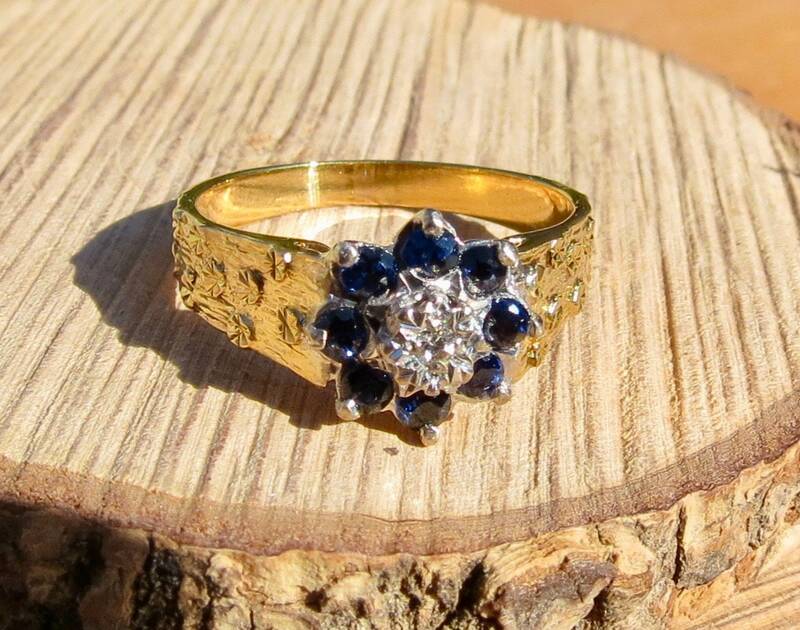 London, 18K stamp. 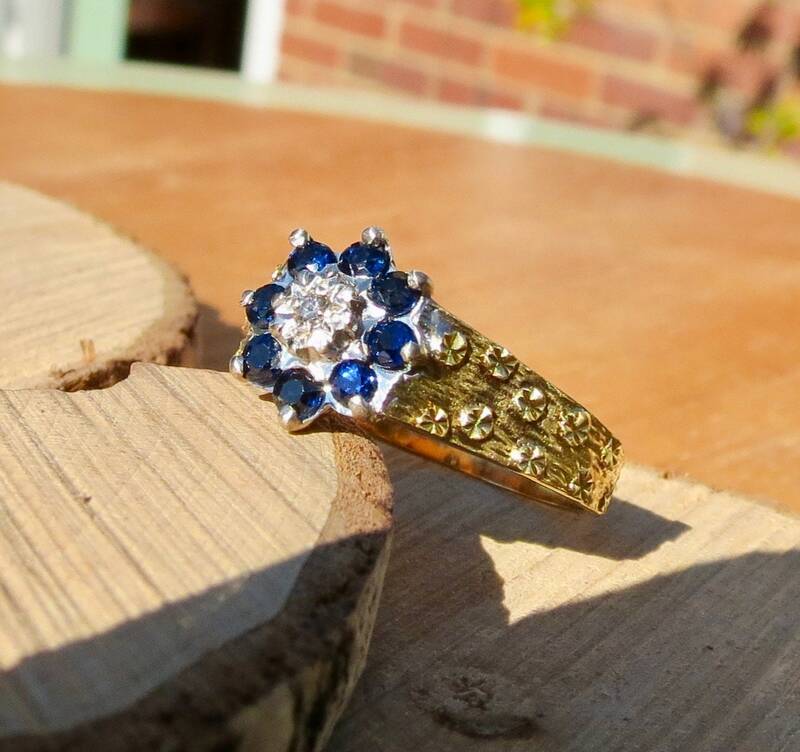 Date letter script c for 1977. 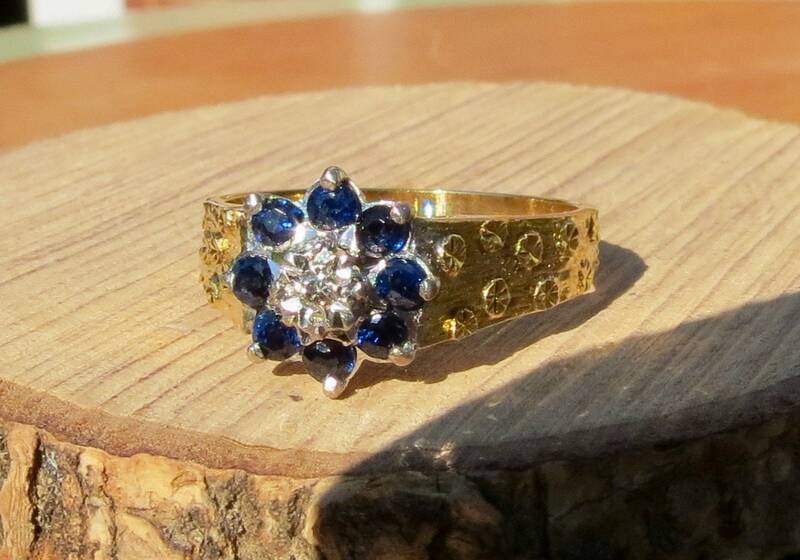 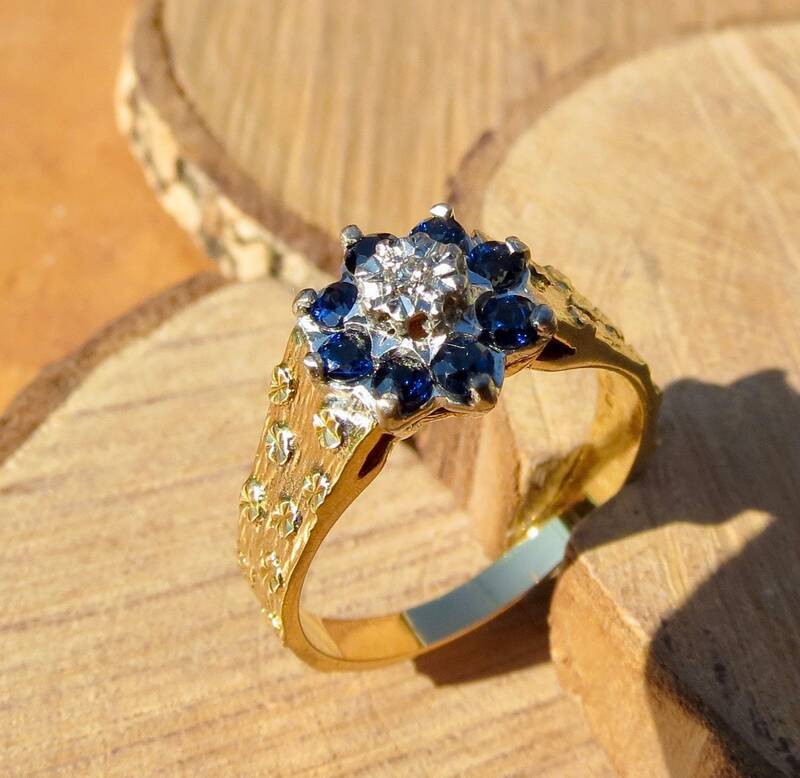 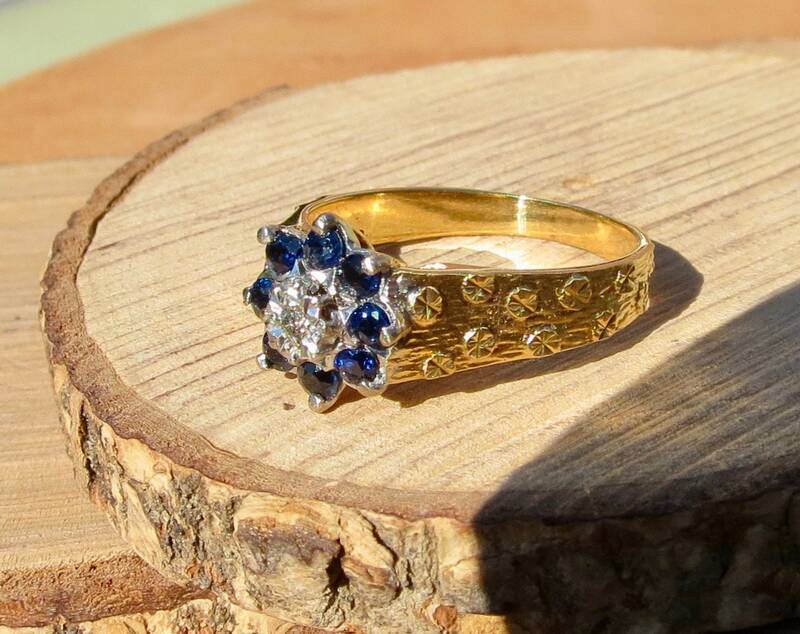 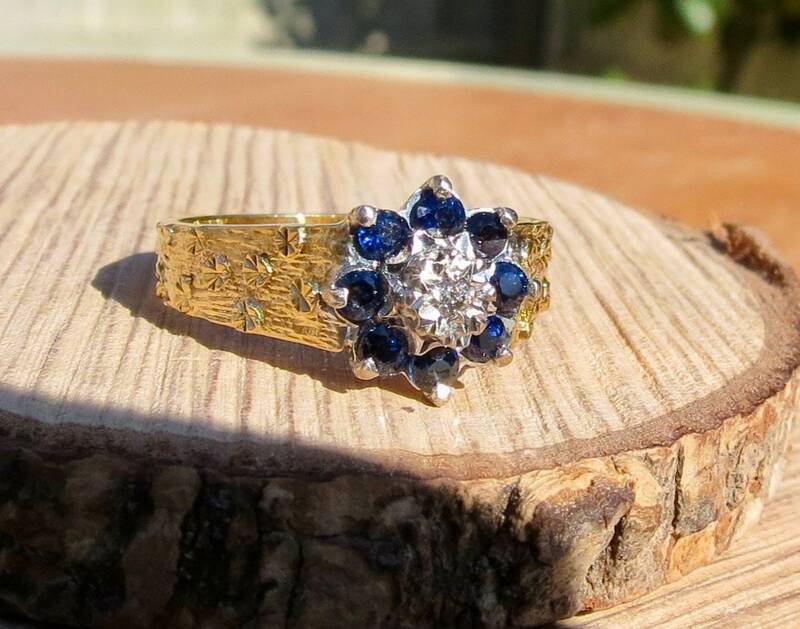 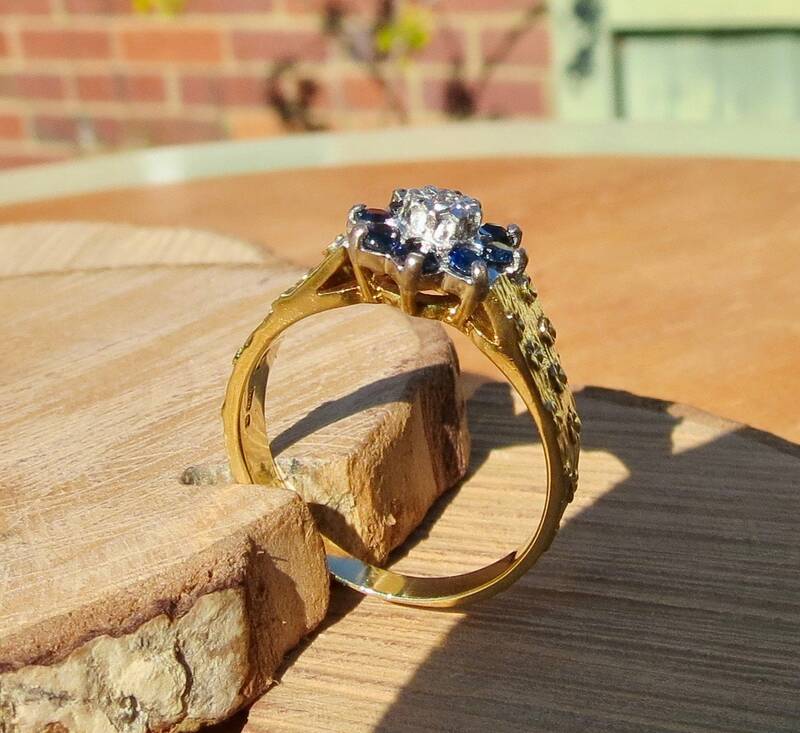 This ring has everything going for it, vintage 1977, excellent colour sapphires, high grade 18K gold, and the symbolism for everlasting love with the forget-me-not flowers.